Over the years Sega's Valkyria Chronicles series has seen some ups and some downs when it has come to getting releases into the hands of players. Having originally released in time where Western gaming had become dominant, this almost niche turn and real time based hybrid had gone unnoticed. Still seeing the worth of the series though, it did receive two sequels on the PSP before being quiet for quite some time before the recent release of the spin-off Azure Revolution back onto the main consoles. 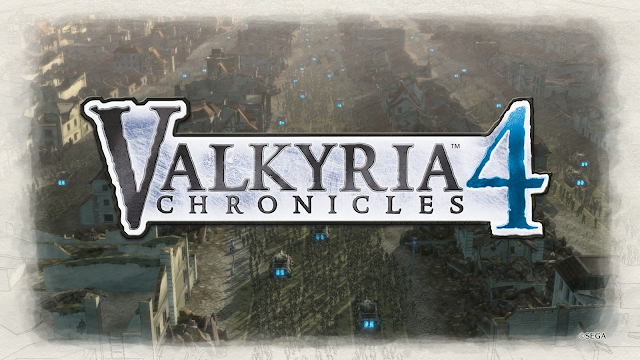 Going back to basics, Valkyria Chronicles 4 returns to the Second Galian War with another point of view as you join a cast diving into the heart of the enemy instead of defending what little has not yet been conquered. What has always made this series interesting isn’t just the fact that it blends both turned based and real time elements together to form a unique hybrid. While this keeps things fairly interesting even twenty or thirty hours down the line, it’s more the story book approach that truly makes it work as you can do as much or as little as you want in one sitting. Presented in the form of a diary, each chapter of this recounting is split up between animated cutscenes, comic book like panel and sorties in which you lead your forces into battle. 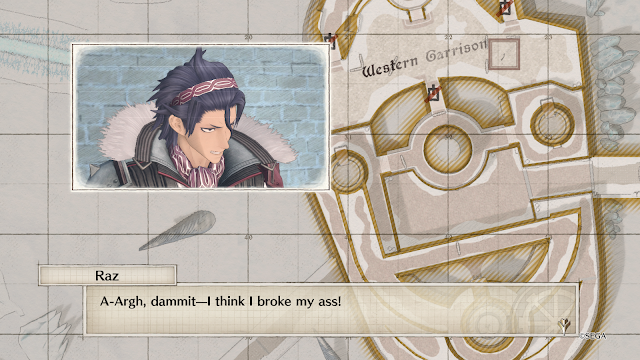 Valkyria Chronicles 4, compared to the first, and I unfortunately without a localization cannot compare it to the third (the second is the only “sequel”), is a notch above the rest that I’ve had the pleasure to sitting down to. 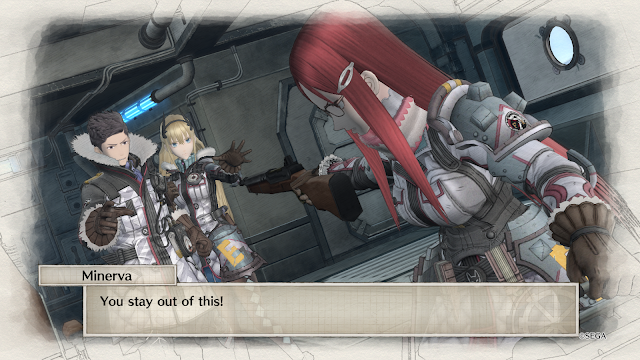 Getting the basics out of the way, VC4 looks, sounds and plays like Valkyria Chronicles. One could in a form argue that this was laziness as the only thing done was re-skinning the various new characters and armored vehicles but they would be wrong and possibly re-mastering the audio somewhat. They would be wrong. 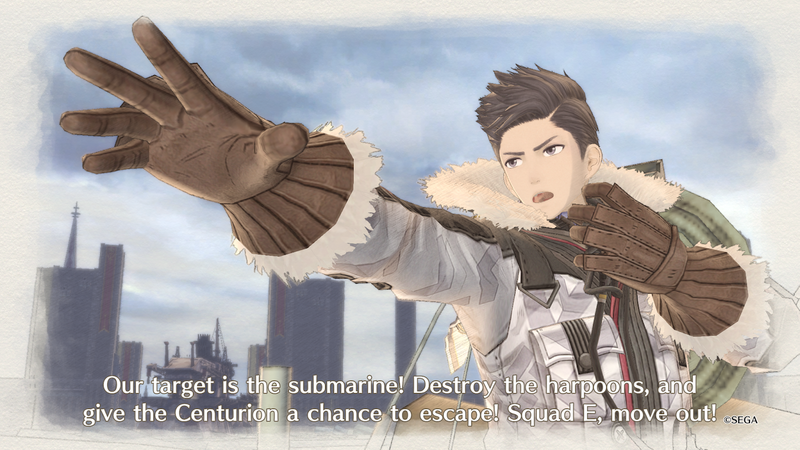 While VC4 looks, sounds and plays like VC, it does so no more than Dragon Quest does on its many entries letting you know what you are sitting down to while experiencing something brand new and fantastic. The new cast and direction of the story going on the offensive instead of dropping back to the final lines of one of the last standing bastions of the federation made for a thrilling tale mixed in with its own roller coasters of emotions. 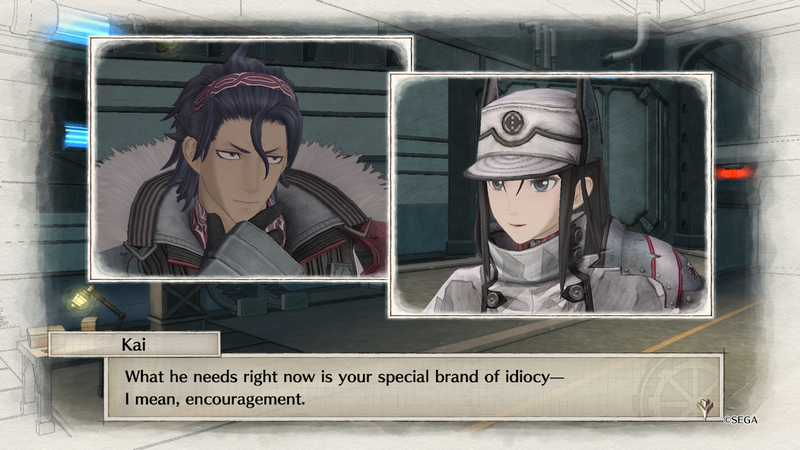 As far as the first was concerned, Welkin and Alicia’s tale was a bit more on the fairy tale side of things as while they were not afraid to kill off an important character, their rag tag group otherwise sailed through their challenges and defeated one of the most powerful of the Valkyrur (humans born with the potential of the legendary Valkyria) and the Crown Prince of the Empire. In contrast to this, Claude, Raz, Kai and then Riley, are part of an elite squad of rangers known as Squad E. They form the best of the best but even then, there will be losses and unlike their counterparts currently fighting to keep what’s left of the Federation, and their own home of Gallia safe, their desperate dive through enemy territory on a spear head attack to their capital conveys many more emotions as it often reminds you just how bad things are and how much worse they can get during a war. Often not holding back its punches, VC4 in a sense can be split into almost three parts that while run on the same “mechanics”, offer vastly different experiences meaning that dirty tricks used in one segment won’t really work in the next making you have to not only often have to improvise, but often have to be willing to be flexible. The core gameplay once you’ve taken to the field is simple. 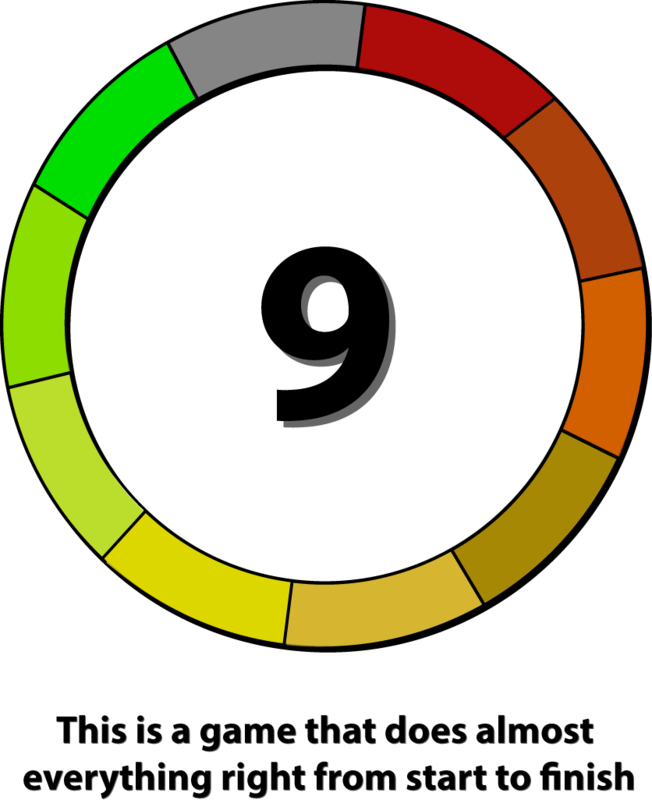 Each turn contains two phases. Your phase and the enemy phase. While you’ll be starting off first just about the entire campaign, there are moments in which you do not and let’s be honest for a moment that it gives you a better appreciation that you often go first even if the odds are often hugely stacked against you. 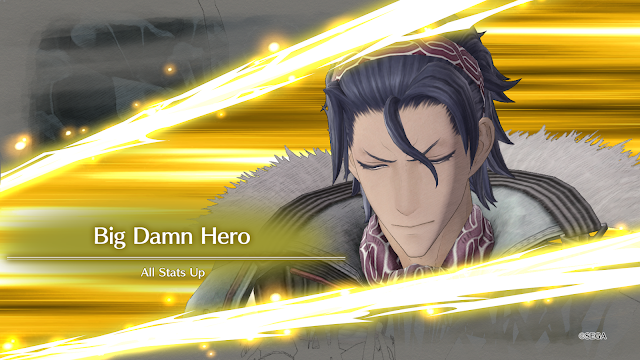 Starting off, you’ll for about ninety plus percent of the story be using Claude in his tank. Side to that, you’ll often be able to place up to seven other units and be able to call in two more for a maximum of ten on the field once your first phase has started. That’s ten units often to the enemy’s twenty, thirty, or more once their own reinforcements show up. Each of your units can be selected from the several classes available to you. Each has its own perks and are designed for specific situations, and though while some can perhaps cross over slightly from time to time, no one class is a substitute for another. Scouts, my personal favorite and often the first to be leveled up, are the units that move the furthest. Their default weapons have five shots and a decent range before eventually being able to launch grenades once they’ve hit level ten. Shocktroopers move slower, have heavier armor and sport both machine guns and flamethrowers. Their range isn’t as good as the Scouts but they have the benefit of being able to use their flames to dispatch enemies behind cover instead of grenades which would otherwise destroy the cover and require an Engineer to fix it. Engineers are like your mini-medics. Medics will only show up if an ally falls in battle and you either give an order to have them evacuated or an ally picks them up. If you don’t, they die. So that’s where these fabulous troops come in. With higher healing powers, they can move just under a scout, use the same guns as a scout and also repair barricades, disable mines and repair tanks. Why not just use them? Because unlike the Scouts, they aren’t as tough or as good with the weapons that they are equipped with. In regards to being stocked on ammunition, most classes have infinite ammo short of the one grenade per turn. Both Snipers and Lancers fit into this category. Snipers can pick off targets at incredible ranges but cannot take a hit while Lancers have a fair range but are designed as your anti-tank weapons with their explosive armaments. Finally, new to the mix is the last of the low ammunition stock group the Grenadier. They launch one of three different forms of ammo, standard which goes boom on most things, anti-personnel which doesn’t let troops stand a chance and then anti-tank which were amazing to have especially with the sheer range. So in order to use any of these units once they’ve been placed upon the field, you’ll have to use Command Points (CP) which you are given at the beginning of every turn. If you choose not to use all of it, it can be carried over to the next turn just make sure to not carry over too much or it will be discarded. Using CP is as easy as hovering over the unit on the overhead map and then selecting them to take them into action. Once you’ve done this the camera pans downwards onto the field where the real time elements take place. You’ll be shot at all the way up to where you decide to take your shot. This is where everything happens and where you can either play to everything’s advantages or get destroyed by not thinking things through. Scouts, Shocktroopers, Engineers, Grenadiers and Snipers after level ten, can perform what is known as intercepting fire. This means that while you are running around, these class types as well as whatever bunkers, turrets or tanks lying around will be opening fire upon you. The accuracy of all of the above, especially the tanks and bukers, is fairly on meaning if you’re not careful you can lose your unit before you’ve even either reached your goal or take the shot you wanted to. With the introduction of the Grenadiers, the overall flow changes as their range is not only incredible, their shots rain from above and make fairly large explosions. 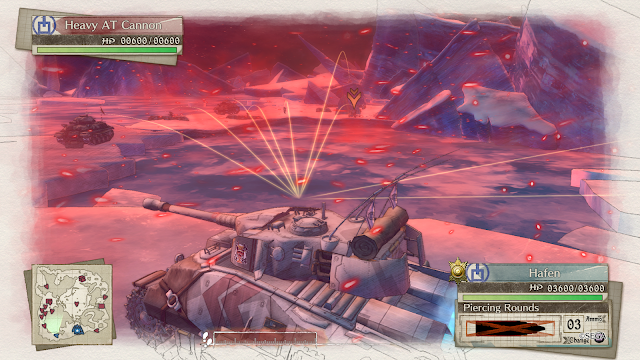 Cover from aerial shots can now be found scattered about the battlefields and while in the beginning don’t matter to your tanks, even this eventually will when the anti-tank shells are brought out for both sides to play with. Speaking of tanks, this along was an upgrade for the experience as using a tank used to cost 2CP. Now? Now not only does it cost one, but you have your main tank, eventually obtain an APC and then a second tank later on. No longer is it a powerful be all / end all, but it’s a useful tool to have and often? Losing your tank finally doesn’t mean losing the mission. Now while the basics don’t change, how they are used changes dramatically as the chapters move forward receiving even tutorial notifications into the seventeenth chapter! The original VC’s concept was good but when it came to the battle it could get rather repetitive as it was often the same thing just on a different layout and a different loadout of enemies. VC4 takes things differently as not every mission is a full scaled war. Sometimes you have to split up two groups in order to sneak through a forest where one acts as a decoy or the other acts as the hidden support. Other missions give you only several units cut off from the rest and it’s literally do or die as there are no reinforcements to be had. It’s just who you picked and I hope you picked well. If things are not going well though, you can always get Claude to put out orders as long as he has not been taken out of the field. Issuing Orders takes up a portion of your CP and can range from one to three depending on how “good” the order may be. Issuing a medivac for example will only cost one and can sometimes be worth more than trying to get one unit over to their fallen comrade. Other orders can increase the destructive capabilities against tanks which becomes very useful especially later on when you have a slew of units prepared for anti-tank warfare. Increasing dodge rates can also be effective especially if you’re trying to move several troops into position but other times? 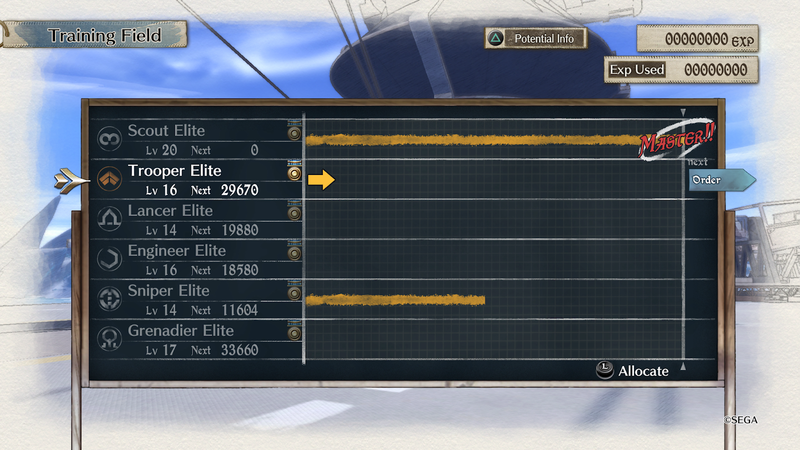 Issuing a restocking of ammo is worth so much more than trying to get your Engineer running to each unit that needs it. Those are just Claude’s orders. Halfway through you get access to a Battleship that while limited in amount of what it can do per battle, has its own style of orders available. 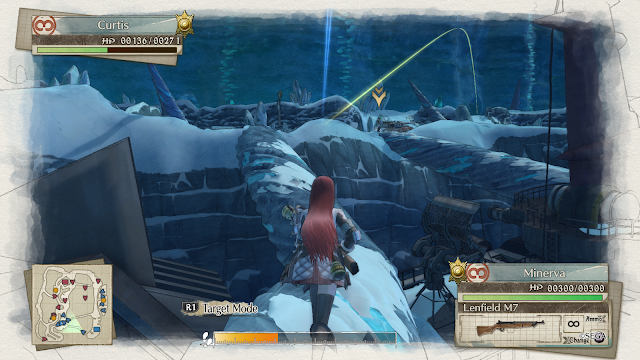 The ship can use a radar to spot enemies where do not currently have line of sight. It can bombard a location with heavy cannons which is all sorts of fun when you don’t want to have to take each unit out separately. And finally it can issue either a medical order to heal up all units and evacuate your fallen ones or re-sortie any of your tanks or the NPC that was taken out by enemy forces. Each of these only costs one CP, but there’s a limit of one per turn and a maximum of two per battle so they should not be used carelessly. The last, and perhaps my favorite addition to the series, is the ability to “Command” on the field. This option lets any of your Squad Leaders, units that provide more CP by being on the field, to take up to two other units with them instead of having to move each one separately. This can only be done once a turn, but it allows for a Scout with the highest movement range to bring along a Grenadier or a Sniper into place much faster than they would otherwise be able to on their own. While it can be argued that there’s also an APC now available, the units moving together, especially if it’s a Scout and two Shocktroopers, all three will open fire on the same target. It’s very useful. The flow of these mission types work very well as there are some battle in which the scale is so big, that even the PS4 Pro lagged a bit trying to compute everything that it had to when going from the top view map into the real time third person action. If they throw two in a row you can be sure that the next one will be a bit more low key or different in order to spice things up or even down as too many large scaled battles like that would become tedious especially with the fact that there’s no saving once it’s started so if it takes an hour? That’s an hour that you hope the power didn’t go out and with the storms near my place of late? It happens frequently even in the middle of a city. It’s with this in mind though that the flow of the gameplay changes twice. The first is into chapter eight and nine in which it stops being so much about fighting against humans and having to start worrying about monstrously designed tanks and the power of a Valkyrur. Often in these battles just trying to survive is hard much less making your goals. It really changes the dynamics as the tank in question will require a lot more thought and you can’t take out the Valkyrur, and unlike VC, you don’t have one of your own. New strategies immediately became needed, older ones were now useless, and the thrill ride continued like this until you finally take them both out into chapter sixteen. After this point the gameplay settles back into the older style against generally normal opponents as you aim to finally put an end to the war by storming the Imperial Capital. The curveballs are far from over and even if you end the war? No one said that the story was over yet! In order to even get this far though, you’ll have been going through many missions and depending on how well you succeeded in them, you’ll have been getting ranks based off of that performance. The higher the rank, the higher the experience granted to level your troops and the higher the cash flow in order to upgrade your troops, your tanks and your ship’s (yes you get an actual battleship for support) capabilities. Often though, it won’t be enough in order to keep up with the strength of your enemies as you’ve been moving toward the Imperial Capital in order to put an end to the war. To compensate for this, Skirmishes become available as the chapters unfold allowing you to go back again and again if for nothing else than to grind out experience and money to better your forces. There are no stories attached to these and thankfully they tend to not take very long as it’s a pure battle but not ones with plenty of strategy involved as often you’ll be strong enough to plow through and finish in no more than ten or fifteen minutes compared to the thirty or forty that a standard mission will take. An hour in the later chapters if things get sideways. Each of your possible units is in a way unique. They are people. No two people are the same. Some are stubborn, some are clumsy, some are competitive and others unfortunately are racist. Yes, racist. In this world you have dark blue haired people known as Darcens and they are looked down upon. Some will state that “it’s not that I’m racist but…” and receive a negative to their performance. Another will flat out scoff. The same can be said about people with social anxiety, they perform better out in the field on their own unless they happen to be with their best friend or in the case of my favorite Scout unit Curtis, his sister who after their Squad Story no longer give each other negatives but really decent boosts. It may not sound like much but even just this little detail makes all the above worth it and may even go as far as to have you put units on the field that you may not necessarily use expect in order to give boosts to another. At the same time, it will also make you consider the overall unit placement as you won’t want a man who’s afraid of being close to women surrounded by them as more often than not they were half of the troops deployed because of their Potentials and because they were Squad Leaders. Finally, I want to highlight just how amazing the voice casting was. The main cast alone is incredible and they work so well together. The same can be said about the secondary cast that makes up your units and the little bits of screen time that they get when you enter a Squad Story. The emotions of the words are as clear as day and often cut worse that the words alone on the screen would have. The raw emotions become easy to be swept up into and when you take into consideration that this story is one of war, the love whether it be between friends, family or someone important shines that much brighter as it could be gone the next moment and the loss is that much worse when it happens. Whether into the first chapter and learning what is going on or into the last chapter where emotions have run both high for you and the cast of characters, Valkyria Chronicles 4 is fantastic. The way that the series has been designed continues to shine both for how it presents its story and for how it showcases its gameplay. The hybrid system continues to evolve without compromising what made it so great in the first place making hour thirty just as good as hour one, if not even better because of how far you’ve had to come with the amazing experience before you.